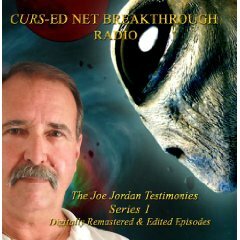 Joe Jordan of CE4 Research on the "Bruce Collins Show"
Joe Jordan Interviewed on "Feet to the Fire"
Hear George Noory and L.A. Marzulli discussing CE4 Research on "Coast to Coast"
Please also see the online audio interviews of former abductees found on the Testimonies page. These testimonies of former abductees are also available in two Audio CD Sets. 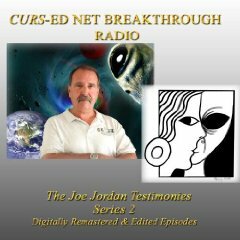 Proceeds go to continuing work of The Curs-ed Net Internet Radio Show. New Music Video by Destiny Lab for their song "Evolve or Die"